IK Multimedia have launched a new mobile mixer for iPhone, iPod touch and iPad designed to allow DJing anytime and everywhere. The iRig MIX offers the same controls you would expect from a professional DJ mixer (crossfader, cueing, EQ and volume controls, etc.) in an ultra-compact portable mixer that can be used with a huge variety of iOS DJ mixing and other apps. 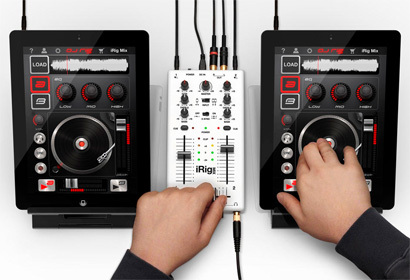 The iRig Mix allows DJs to use a traditional setup with two devices (one plugged in to each of the independent channels) OR a single iOS device. For the single iOS device setup, the output is split into dual-mono and sent to the individual channels. Additionally – for the first time on any DJ mixer - it can be used for mixing any type of audio source (mp3 players, CD players, etc.) with an iOS device using automatic tempo matching and beat-syncing. This is accomplished with X-Sync, a feature that works in combination with the DJ Rig free app from IK Multimedia that is included with iRig Mix. The ultra-compact size and low profile of the iRig Mix allows it to easily be carried in a regular iPad bag. It also has low-voltage power requirements (only 5V DC), which allows it to be powered not only by any regular mobile device charger but also by a suitable iOS battery pack or a laptop USB port for maximum mobility to mix anywhere. 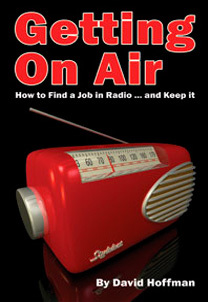 What’s more, its standard RCA connectors provide easy, direct, connection to PA systems or powered speakers. iRig MIX will cost approximately £65 and will be available soon from electronic and music retailers.